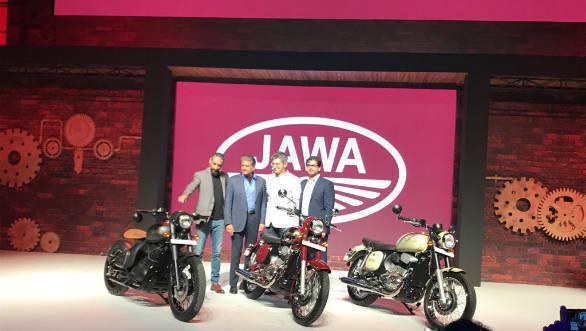 Classic Legends, a subsidiary of the Mahindra Group has resurrected the Jawa brand and launched the first two bikes that will make up its range. These are called the Jawa and the Jawa Forty Two. 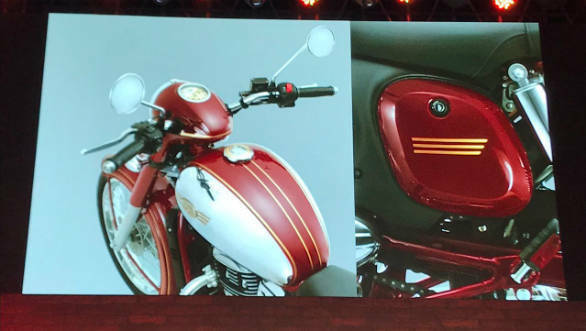 The Jawa will cost Rs 1.64 lakh, while the Forty Two will retail for Rs 1.55 lakh. Bookings have begun online today, November 15, onwards on jawamotorcycles.com. 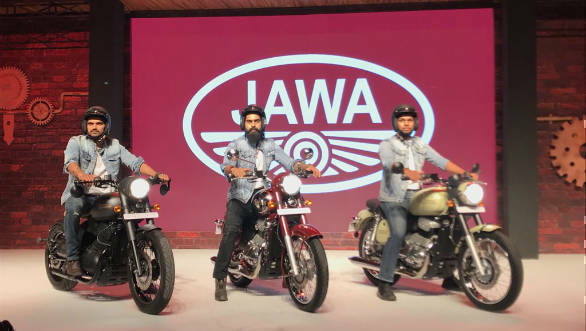 The Jawa and Forty Two are powered by an all-new 293cc single cylinder engine that employs liquid-cooling, fuel powered injection and a four-valve DOHC head, enclosed within a double cradle chassis. A lot of time has been spent in perfecting the engine's exterior appearance as well, in a bid to ensure it looks just like the original Jawa engine with the classic fins and twin exhausts. Outputs for the engine stand at 27PS and 28Nm. Ashish Joshi who heads Classic Legends also mentioned that the engine boasts a flat torque curve and will also prove to be extremely reliable. Classic Legends claims that the new bikes will carry the original jawa virtues of good handling, nimbleness and agility. A third Bobber-style motorcycle called the Perak was unveiled, but will launch later at Rs 1.89 lakh. All prices are Ex-Delhi. This will be powered by a larger 334cc liquid-cooled single cylinder motor that will make 30PS and 31Nm. The Jawa will be available in three colours, black, maroon and grey. The Forty Two will have six such options. Unique touches abound in both motorcycles. The original Jawa retains its iconic tool box while the Forty Two gets an offset instrument pod with a tiny digital display, fuel gauge and flat handlebar. The focus is on India sales right now, exports will come later. There will be 64 operational dealerships by the end of the year. Deliveries will begin next year and the bikes will be made at Pithampur near Indore in MP. Interestingly, the Mahindra Group owns 60 per cent stake in Classic Legends and there are two other partners including Boman Irani, son of Rustom Irani, who was one of the founders of Ideal Jawa, the brand under which Jawas were sold in India originally in the 1960s and '70s, and the other, Anupam Thareja who is a research analyst apart from having worked at Royal Enfield previously. Classic Legends has the rights to create, brand and sell Jawa motorcycles in India.